Note to buyers: This product is part of my Compound Word Wizards Mega Pack Bundle. 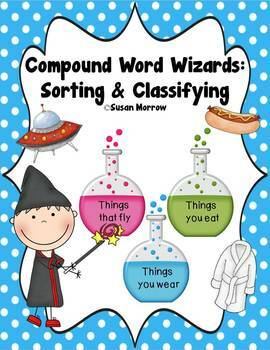 In this product, students are wizards in the compound word lab and practice sorting and classifying compound words. 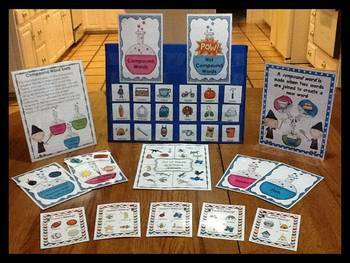 This products contains picture cards both with and without the word for 204 compound words which allows you to differentiate for your students based on their readiness. Compound Word Sorts takes learning about compound words to the next level as students acquire new vocabulary, explore relationships, develop reasoning skills and improve critical thinking. 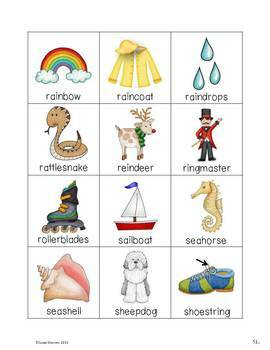 These activities may be done as a whole class, with small groups or individually in a center. They are great for early finishers and ELL students! 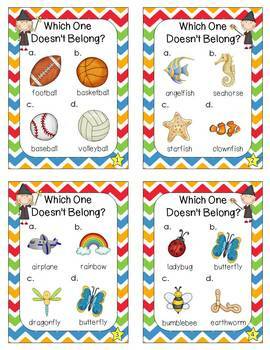 Which One Doesn’t Belong activity – students analyze pictures of four compound words to decide the common attributes and which word doesn’t belong – note: there can be more than one right answer to most of the cards!